April | 2007 | That Mall is sick and that Store is dead! …. what is UP with the weights in center court?! Did the security guard who was looking over the abandoned place at night decide to do exercise? 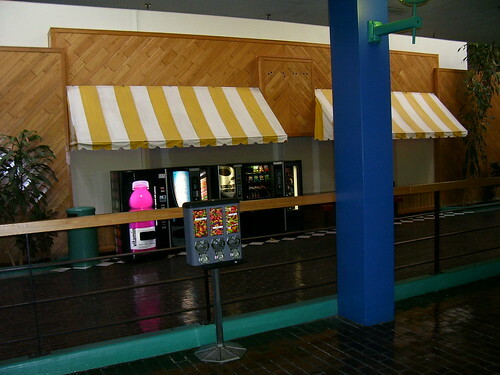 I fixed the links on this entry of mall photos from the Virginia Film Office. It’s hard to believe that department stores were so massive back then. I remember driving by this dump a lot … Kings Flea Market. One more! Check out the old Wal Mart in these photos. I don’t like…understand the commercial. Where is that man and that woman at? Where are they reporting from? A radio station newsroom? Why does it remind me of one of the final scenes of that MST3K film “Rocket Attack USA” where the radio newsman is telling his wife and baby over the radio that he’ll probably never see them again because the Russian nuclear weapon that looks like a pen is heading straight to the city. Follow screenshot of article. Funny stuff. 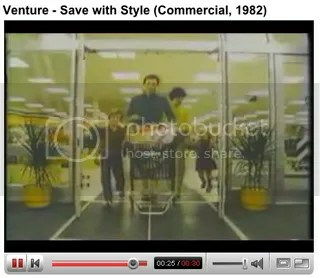 This old Venture commercial was profiled in the Yahoo! Remembering Retail group. The dad and the son looking at the Kodak Disc Film and Cameras. Disc died in the very very very very very late 1980’s. My mom has a bag of disc film that was never developed. Food Competition, originally uploaded by strongsad38001. 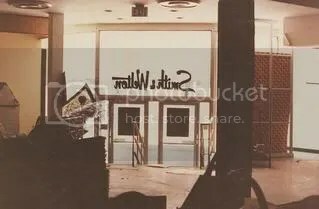 Good photo set about the Amsterdam Mall in New York..